It is nearly a year since Uttarakhand witnessed one of the worst natural calamities in Indian history due to sudden cloudbursts and flash floods. On June 17, the state received 340 mm rainfall, an astounding 375 per cent above the daily normal rain during monsoons. Residents and tourists in Badrinath got no time to move to safe areas, which resulted in loss of thousands of lives and property. The state government was charged with being too slow in rescuing and relocating people. When chief minister Vijay Bahuguna resigned owning responsibility for the administrative failure, he also accused the India Meteorological Department (IMD) of failing to warn the state government of the impending danger. Monsoon is just a few weeks away, but IMD has done precious little to improve its outdated weather forecasting system. After facing widespread criticism, the department promised to augment its forecasting mechanism and install better equipment to bring accuracy in weather predictions. It seems the promises were made only to assuage people’s anger. IMD took months to announce its ameliorative steps. The department organised a meeting in early May where state chief secretary Subhash Kumar announced that IMD would install three doppler radars, 75 rain gauge meters, five micro rain radars, four compact radars, 75 weather stations, besides introducing a helicopter support weather system. Doppler radar is the key forecasting tool that uses doppler effect to measure the velocity of objects located at a distance. Rain gauge measures precipitation while micro rain radar is used to retrieve quantitative rain rates and drop size distributions. Compact radar tracks faraway people and vehicles. Within a few days the Centre sanctioned Rs 116 crore for the project. It also asked the department to identify land for the purpose. IMD had been complaining that the state government starts dilly-dallying whenever it asks for land to set up weather stations. The project would take three to four years to complete. Given the tremendous loss Uttarakhand suffered and the promises the state government had made, more action on priority basis was expected from IMD. At present, the state does not even have its own radar. It requests for data from Delhi and Patiala, says an IMD official requesting anonymity. “Planning for augmentation of the weather prediction system has been going on for the last 10 years,” the official says. 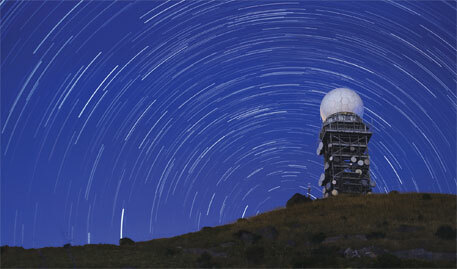 Last September, IMD scientist B P Yadav said in a department meeting that it had already commissioned nine doppler weather radars in the Himalayan region, including Uttarakhand, Himachal Pradesh, and Jammu & Kashmir. He also announced commissioning of 18 micro rain radars, 10 lightning detection systems and 12 compact severe weather detection radar systems. But on ground nothing has changed, the official says. Weather forecasting in the Himalayan region is a challenging task because of its complex terrain, says Anand Sharma, scientist at IMD Dehradun. “Forecasting is completely different in the hills. One radar cannot cover long distances,” explains G P Sharma, head of Skymet, a private forecasting agency. Hilly areas require special radars called X-band radar. According to him, hilly states like Uttarakhand need at least 14 such radars. S-band radars, which are used in the planes, can cover long distances but cannot catch minute details. Across the country, there are quite a few IMD radars which do not function, says the department official. The radar at Dibrugarh has been out of order for the past six months, while the Nagpur radar has not been functioning since April 30. The situation is similar in Bhopal and Jaipur. Climate in the Himalayan region is showing signs of change. After last year’s destruction, people are worried what the coming monsoon holds for them. What they need is a sound weather prediction mechanism backed by administrative support, which they are unlikely to get this season. Hilly states may have posed problems , but require to be overcome eventually and early by both the necessary equipment and know how , given the fact that cloud bursts and flash floods could recur with differing severities. Another area for priority consideration is the phenomenon of "hailstorms and unseasonal rains" that occurred in different parts of Maharashtra in last three months causing enormous crop damage and inflicting serious financial loss on the farming community.Prior warning may help curbing / minimising agricultural loss that can offer solace to the farmers.